Coping with Uncertainty: What Would an Animal Model of Schizophrenia Look Like? In our field, where the clinical, genetic, psychophysiological, biochemical and psychopharmacological characterization of “schizophrenia” is incomplete, there has been limited success in investigating schizophrenia with the help of animal models. Nevertheless, there have been a number of putative models proposed to address individual features of the disorder. 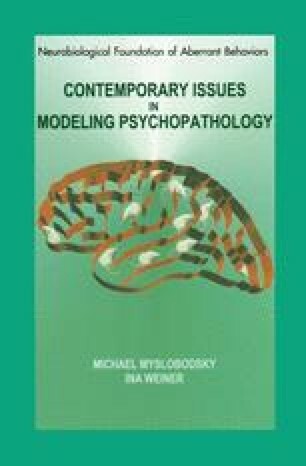 Below we review some of the models that have been suggested as being applicable to schizophrenia, outline some of the critical features required for successfully modeling schizophrenia-like behavioral features, and propose an empirically useful model of neurodevelopment and behavioral teratogenesis.